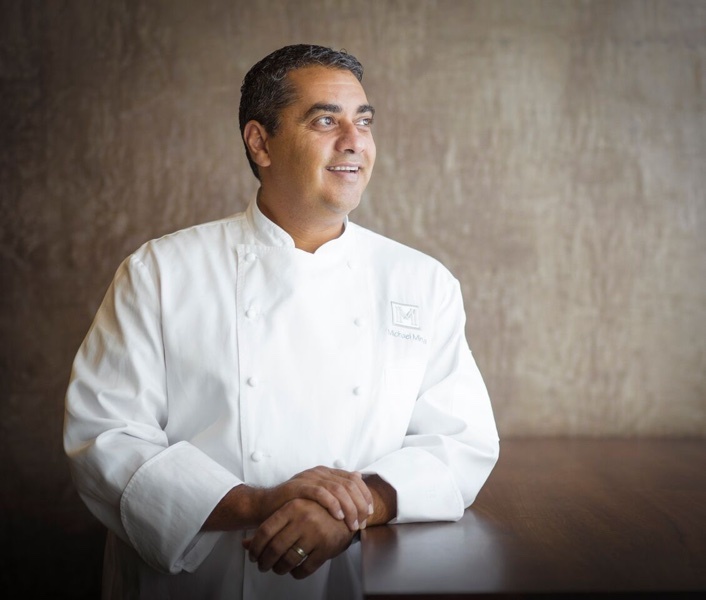 Chef Michael Mina. / Image provided. UPDATE, Friday, Aug. 24: It’s opening night at MGM Springfield, including Cal Mare and more destination dining options. For the second time in less than two years, chef Michael Mina is replicating one of his California restaurants in Massachusetts. Mina, who opened an outpost of his San Francisco izakaya, Pabu, in Boston in late 2016, is expected to debut a second location of his Los Angeles Italian spot, Cal Mare, at MGM Springfield this September. It’ll serve as the $960-million resort casino’s culinary flagship. The Amalfi Coast-inspired menu focuses on seafood dishes such as grilled fish and crudos, housemade pastas, and brick-oven pizzas, paired with a large selection of coastal Italian wines. Mina’s coast-to-coast restaurant empire includes some 30 concepts, ranging from an eponymous fine dining concept at the Bellagio, in Las Vegas, to a steakhouse in D.C. He also recently opened a brasserie in Dubai. Cal Mare is one of a dozen restaurants set to open in the resort casino this fall. The Chandler Steakhouse, inside the former Union House Hotel (preserved as part of the development), will serve dry-aged beef under the direction of executive chef Meghan Gill, who won Hell’s Kitchen Season 14. Additionally, the sprawling resort casino will be home to a TAP Sports Bar location outfitted with 32 TVs, a 10-lane bowling alley, arcade, and beer garden. All of the restaurants will face the outside streets, making them “more accessible to those who are casually exploring downtown Springfield,” according to MGM Springfield spokesperson Saverio Mancini.